The tower computer workstation is perfect for use in schools and provides a fully functional work area for children to learn with computers. 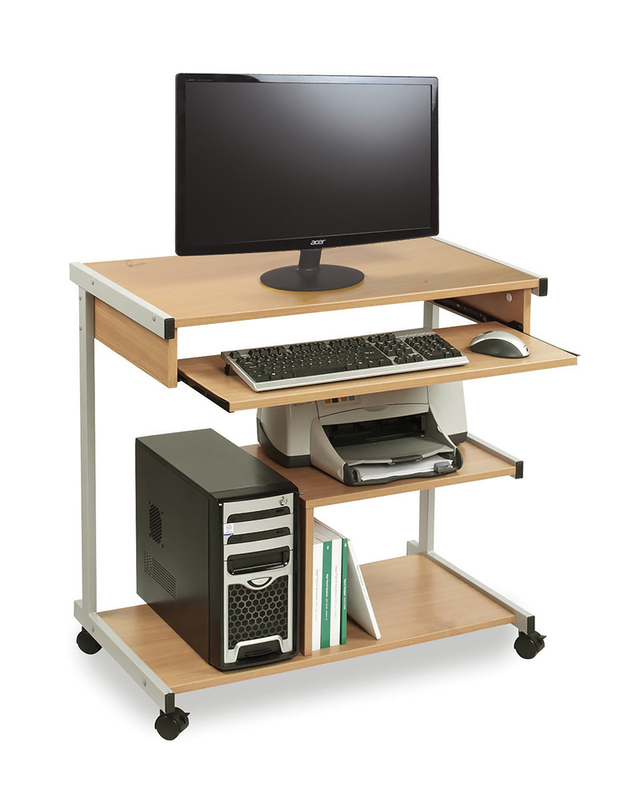 The workstation incorporates a top shelf for a monitor, a sliding keyboard shelf for easy access to keyboard when needed. It features an area to position the tower unit which will leave it neatly tucked away at the bottom of the computer trolley and an additional fixed shelf for locating your printer.